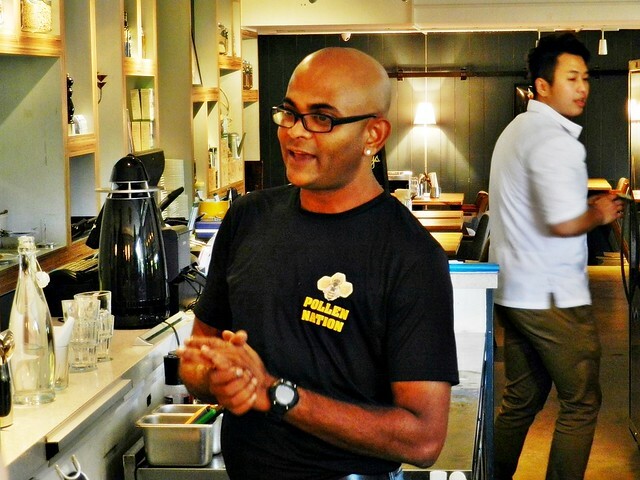 Founded in 2012 after the founder was inspired by the night markets of Taiwan, MrQ Snacks is a small takeaway kiosk, offering classic and modern Singaporean street snacks. As MrQ Snacks is mainly a takeaway kiosk, there isn't much ambience to speak of. 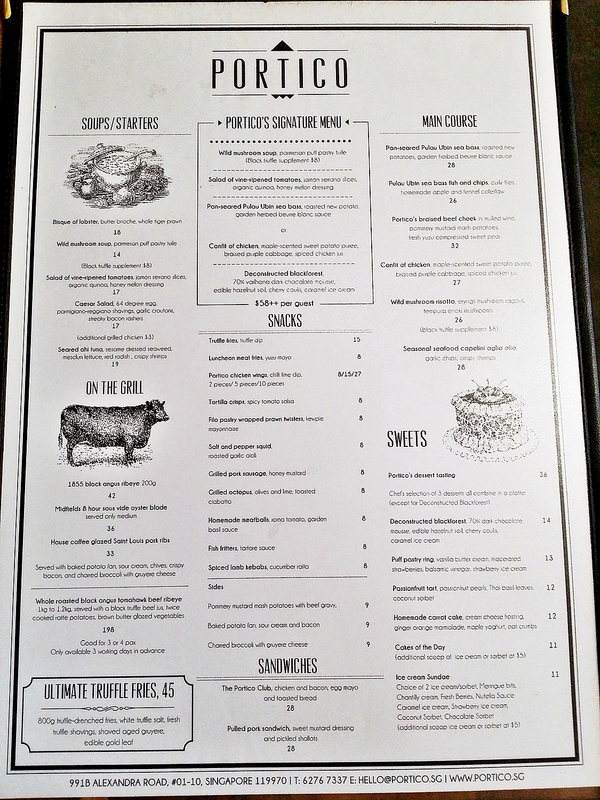 However, their menu is bright and legible, and rather attractive. Plus the sight of them frying up street food sure is attractive! The Singaporean staff at MrQ Snacks are friendly, but rather brusque, and don't engage in much conversation, especially if they're busy. Order fulfillment is rather quick, and I like that staff pack the items nicely so it's not messy. 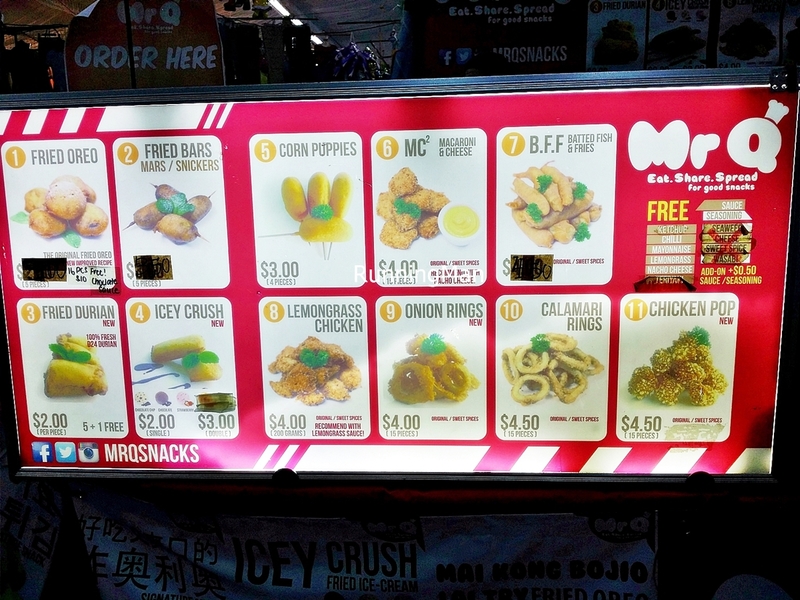 The menu at MrQ Snacks is small but varied enough for street food, and all their items can be eaten on the go. The majority are stick food, items like chicken or seafood, and their food is Halal certified. Portions are nicely sized, and prices are comparable to other street food, budget about SGD $4 per person. 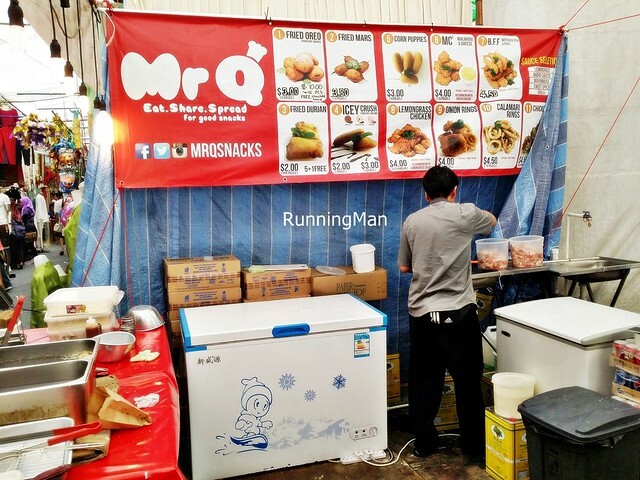 While they do have a permanent location, MrQ Snacks mostly operates as a pop-up stall at various events or bazaars. 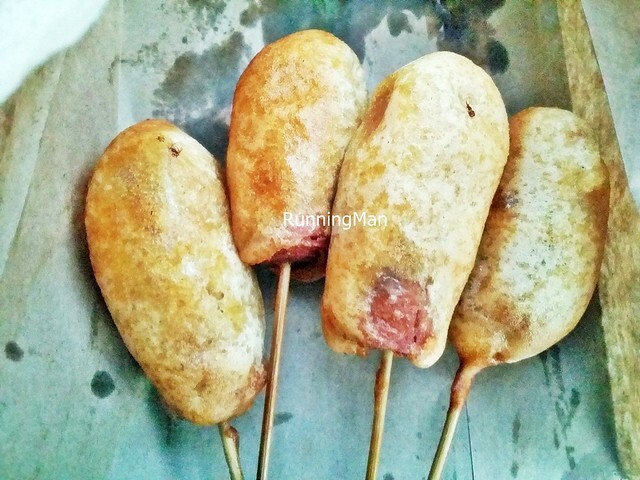 The Corn Puppies (SGD $3) are chicken sausages, cut into bite sized pieces, coated with a thin flour batter, and deep fried. 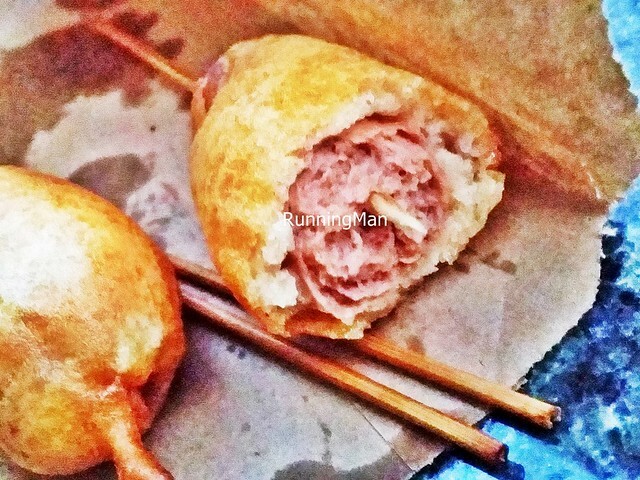 Best eaten piping hot, I like that the sausages aren't dry, and the batter is thin with a slight chew. 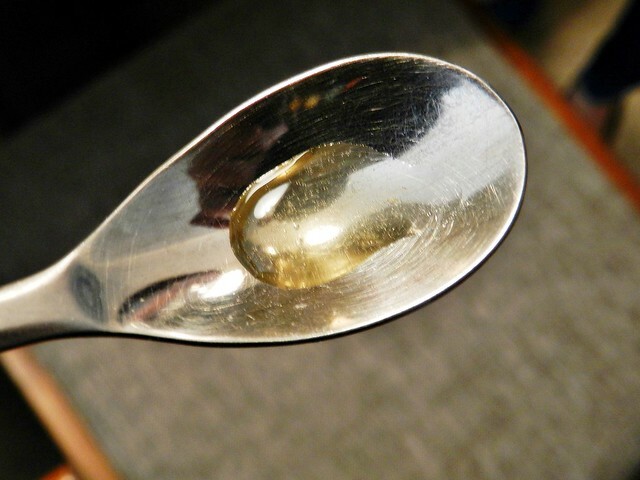 Decent, but rather oily. 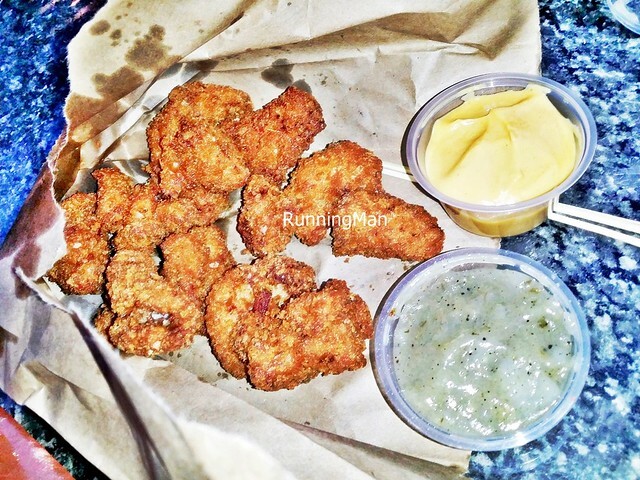 Loved the Lemongrass Chicken Original (SGD $4), which features chunks of boneless chicken, with a light crumb batter. 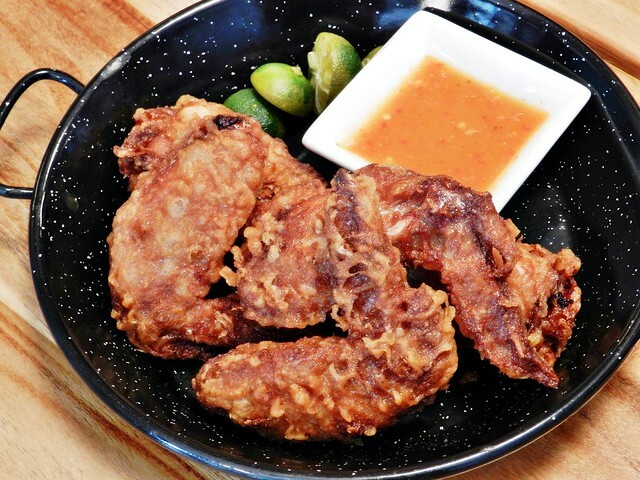 The chicken remains tender and juicy, with a slight fragrance from the batter. Lovely enough on its own, it's served with an absolutely floral aromatic, and tasty, lemongrass sauce, which I thought was so addictive! Also served with a nacho cheese sauce, which was kind of meh. Otherwise, I highly recommend this! 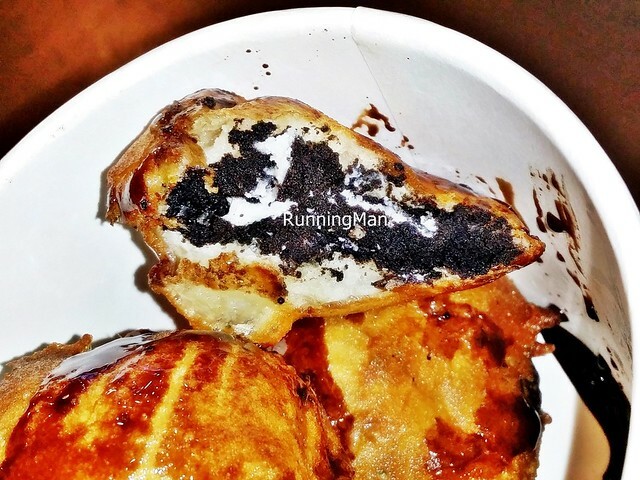 The unique Fried Oreo Cookies (SGD $3) are a novel idea, but I personally found it to be somewhat average. The batter is thin and crisp, holding well to the cookie, and the deep taste of chocolate and texture of the cream comes across well. But the overall lack of moisture means this snack is also rather dry. 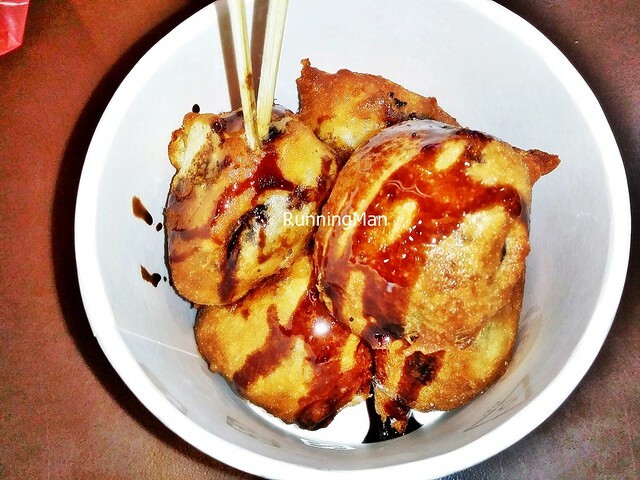 Choose to get it with chocolate sauce drizzled over for more flavour. 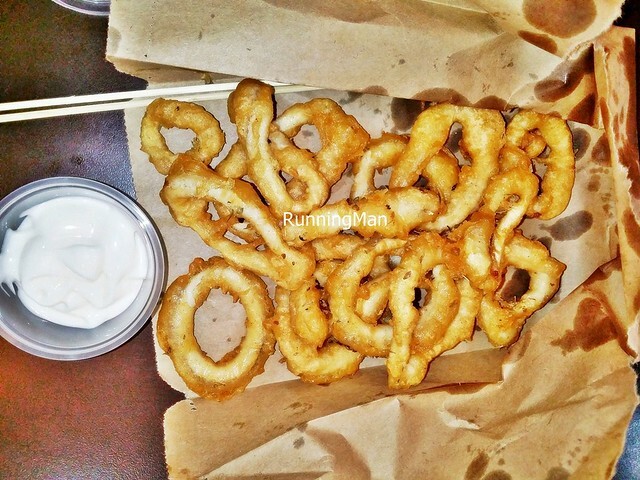 The Calamari Rings (SGD $4.50) here very good. 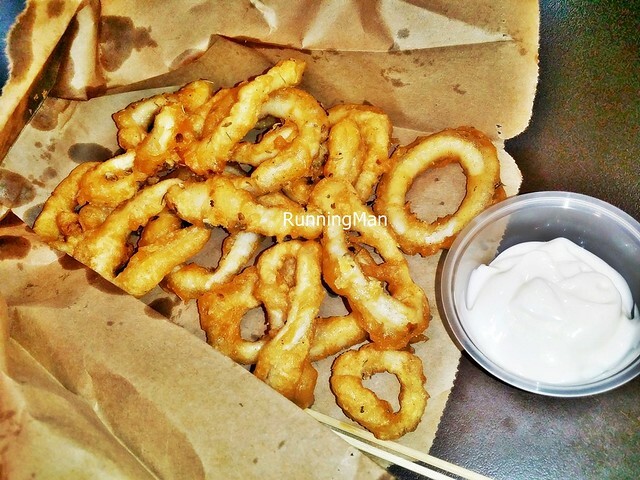 The squid rings are fresh, large, and meaty with a good bite, and the light flour batter holds well to the squid. 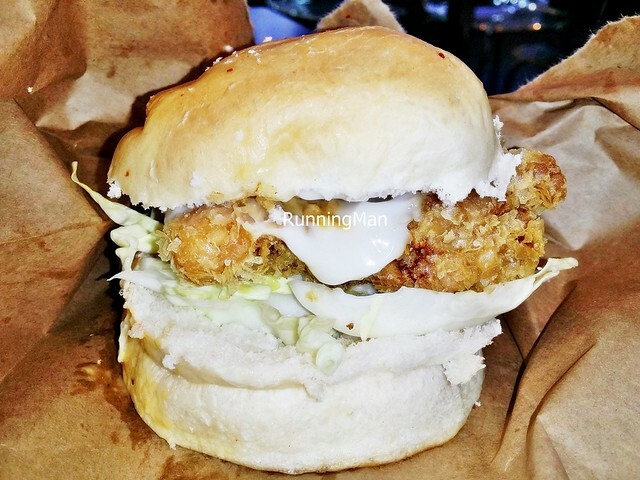 It's served with a tartar sauce, but I like it on its own! Good, worth ordering! 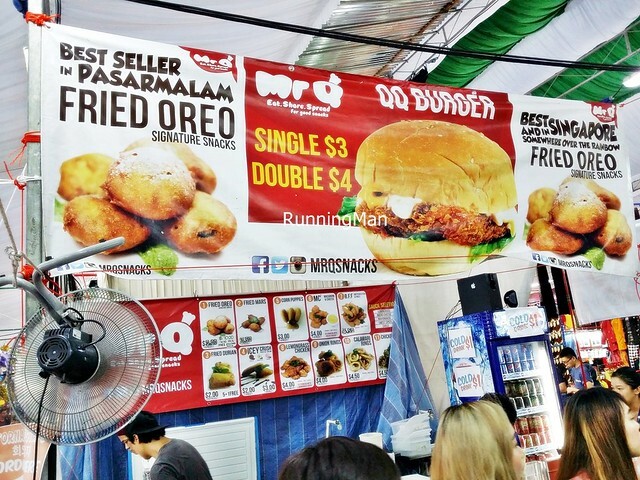 The MrQ Burger (SGD $3) was the weakest item I tried. The burger buns are thick, not grilled or buttered. 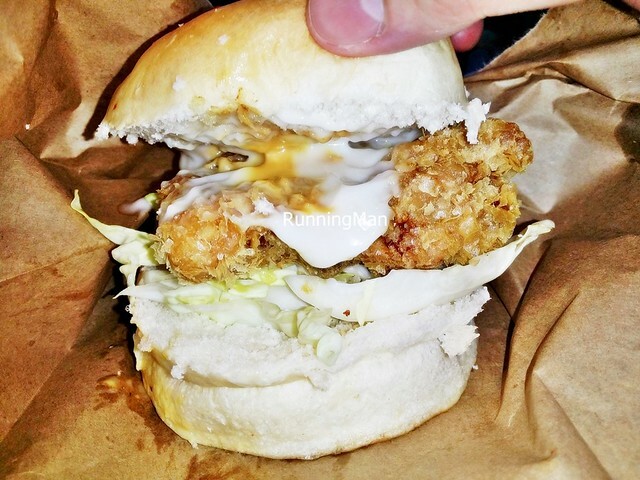 The chicken piece is rather small, albeit tasty, but the burger is overall very messy to consume. Didn't like this. Attended with representatives from OpenRice, The Arctic Star, Chubby Botak Koala, Hannah Chia's Food Trail, Fel Eats, and U Make Me Hungry. Budget about SGD $60 ++ per person. 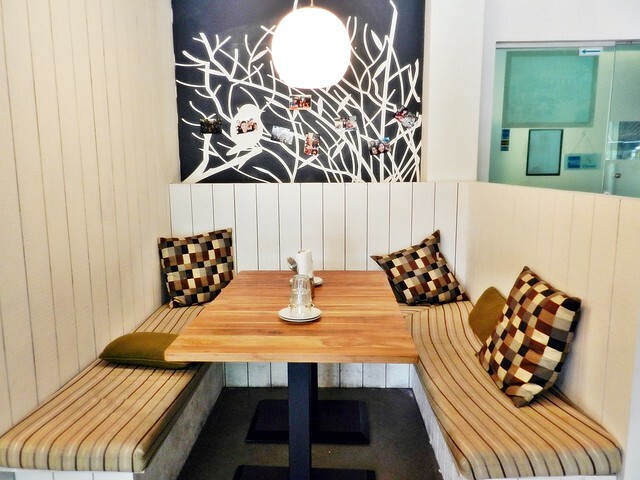 Hidden amongst a business complex and surrounded by offices, Portico is not a place you'll stumble upon. 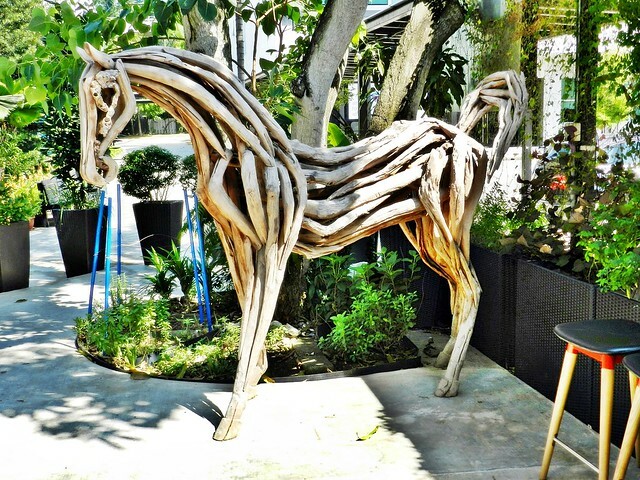 This hidden find, with its large al-fresco dining area and edible herb garden, serves up innovative and tasty modern European fusion cuisine in a laid-back, relaxing setting. 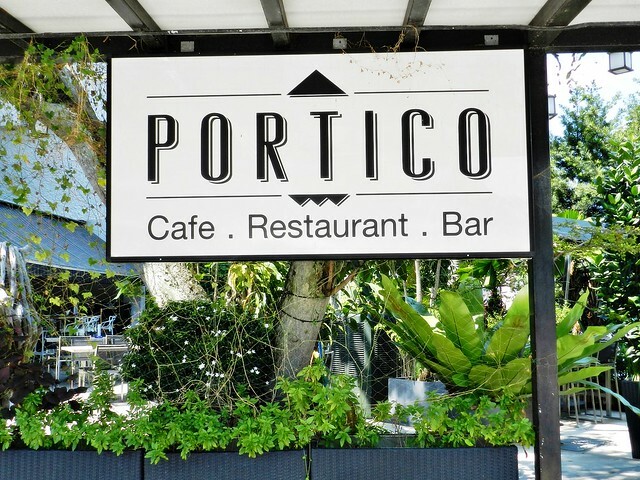 Portico, which means 'porch' in Italian, is also known for its support of local, Singapore produce; where possible, all ingredients are locally sourced. Ambience at Portico is designed to resemble a comfy home, with a relaxing outdoor al-fresco garden dining, and the interior calling to mind an intimate living room. Pictures of the staff frame line the wooden cabinets along the wall, and the low atmospheric lighting lends to the feeling of tranquility. You immediately feel like just chilling for a long time here. 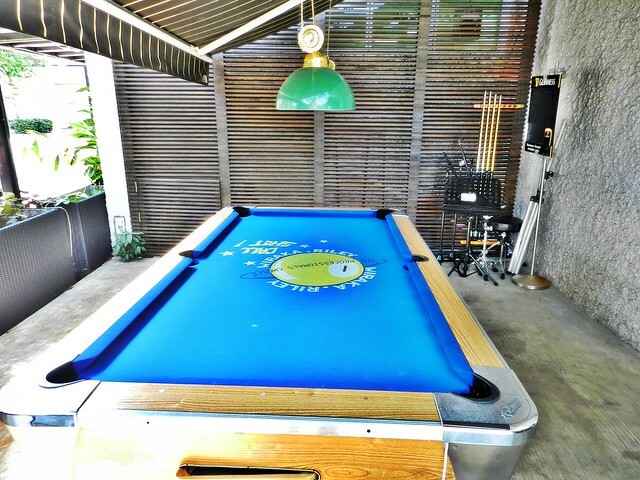 There's also a pool table outdoors, where dining is nice on breezy evenings. 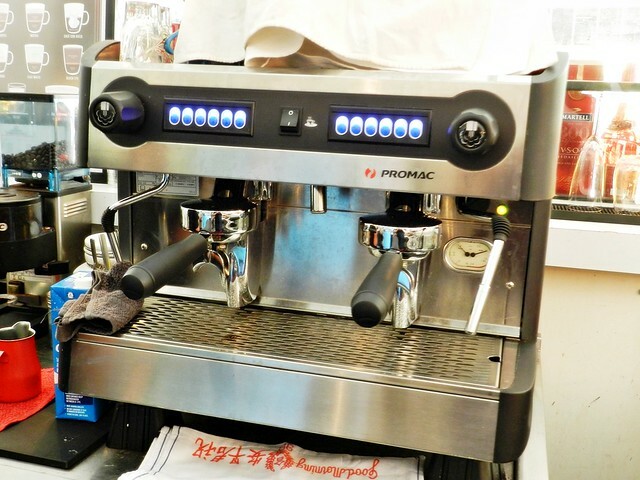 Service at Portico is friendly, welcoming, and efficient. I note that staff offer greetings, and are quick to seat guests, as well as clear empty / dirty tables. 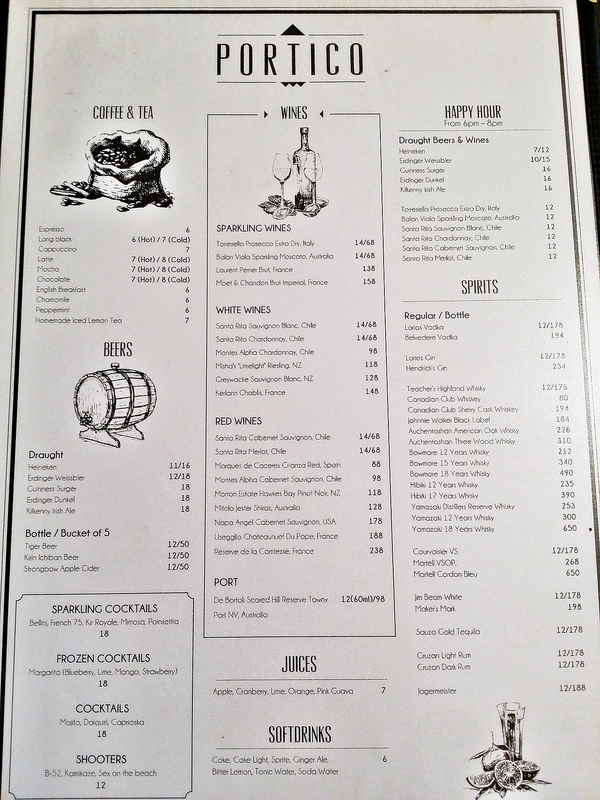 They have a good grasp of the menu, which changes fairly regularly, and can answer general questions about dishes. 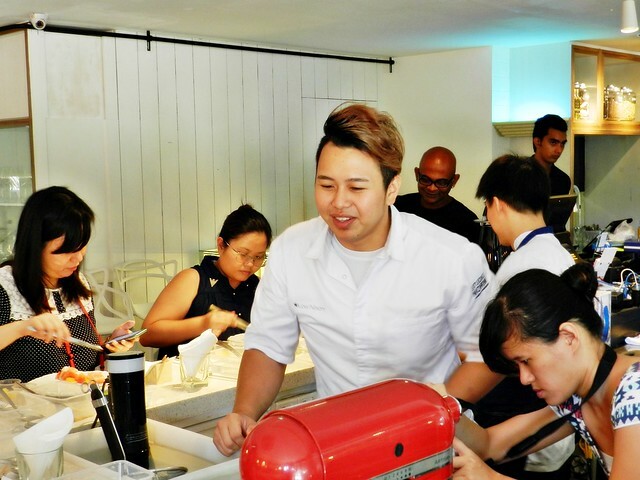 Kudos to Head Chef Nixon Low for heading up an excellent team! 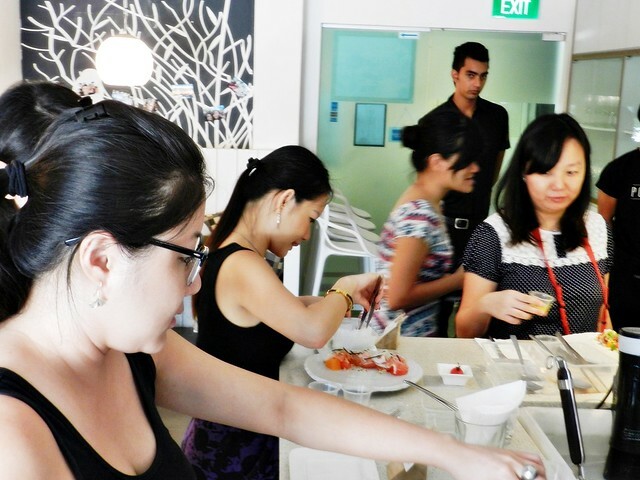 We were here for a preview of Saturdays @ Portico, where lunch patrons are invited to join a series of fun, hands-on food & beverage activites! 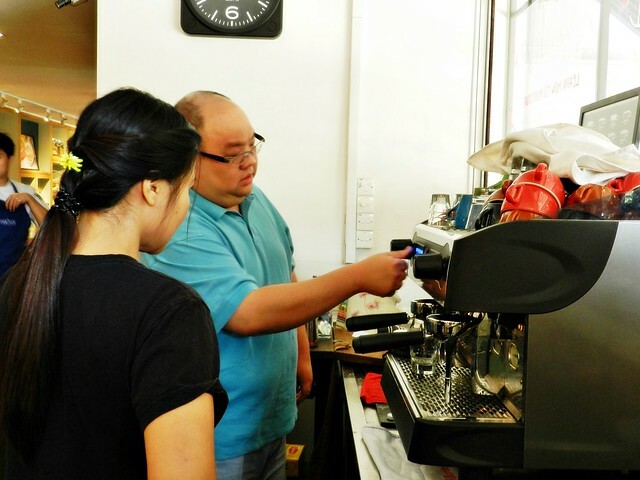 For June 2015, this includes a plating session of their signature house salad, and a latte art demonstration class! 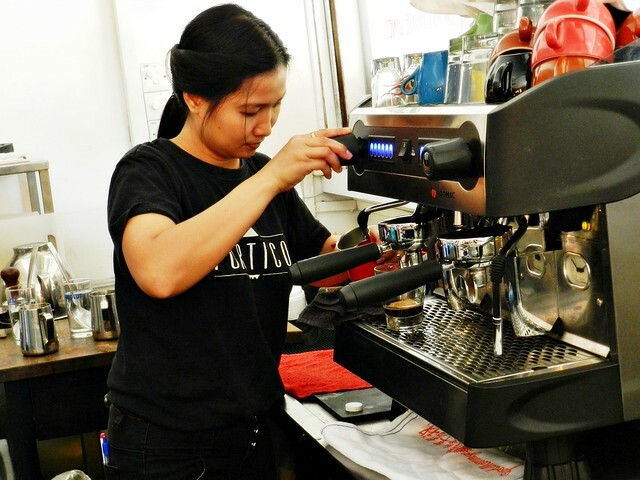 Staff were very helpful and patient during this session, explaining each step clearly, as well as allowing guests to try the latte art and salad plating for themselves, providing helpful tips and encouragement along the way. Personally, I didn't do so well in the latte art, but I think I did pretty alright in the salad plating. 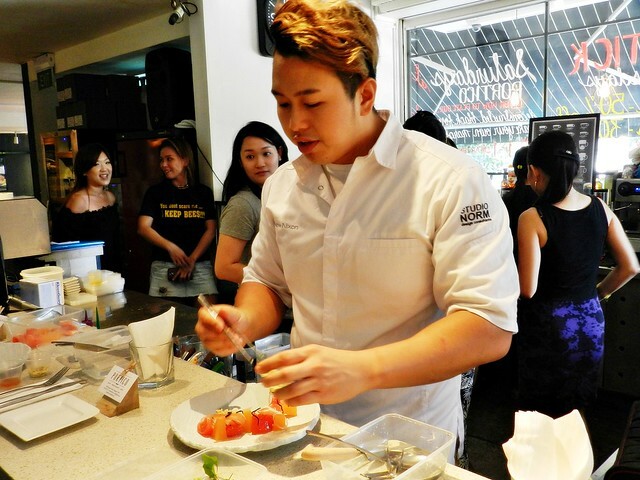 More importantly, I gained a deeper appreciation of the F&B industry, and how chefs work so hard just to prepare a meal! 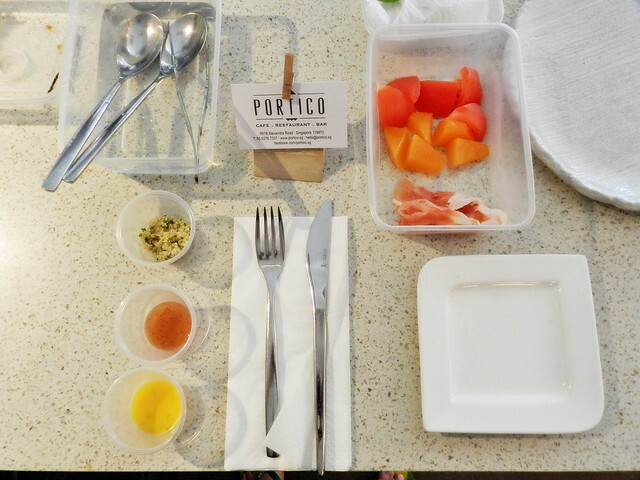 Highly encourage all who have a passing interest in food to join the fun, hands-on activities at Saturdays @ Portico, every saturday at 3pm - 5pm! 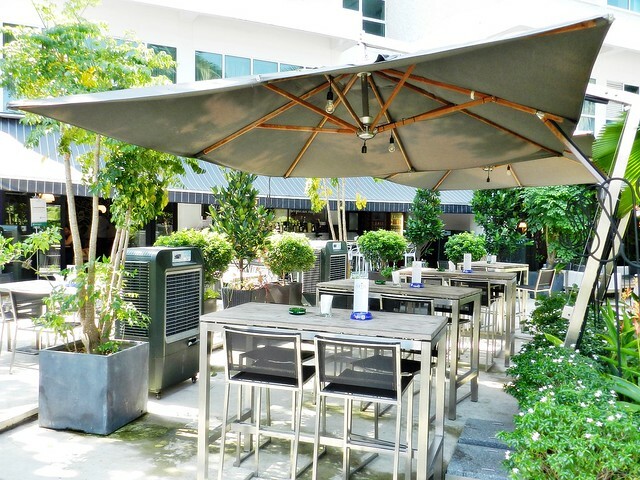 Food at Portico is fine dining, modern European fusion cuisine, with elements of Singaporean influence. Great care is taken in the preparation and presentation / plating of each dish, such that each is an individual work of art, photo worthy plates of food presented to discerning diners. 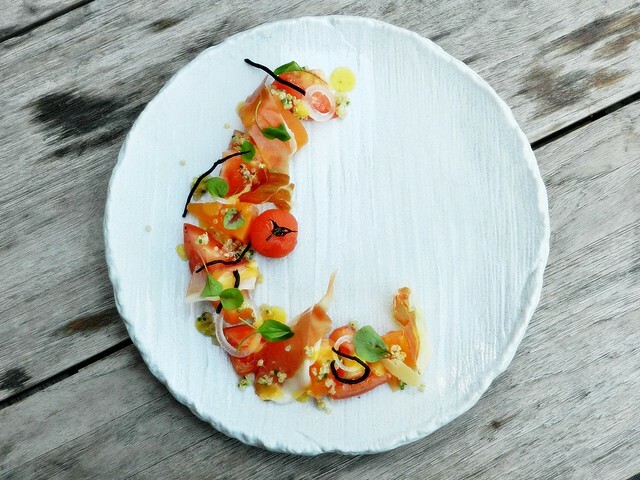 And it doesn't just look pretty, because Head Chef Nixon Low and team ensure each dish packs flavour and texture, combining to dazzle and please the palate. 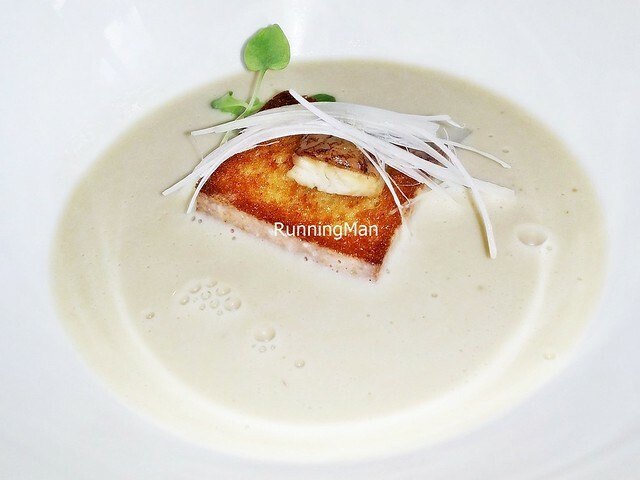 And while portions are relatively hearty, such gourmet wonders don't come cheap, expect a decent meal here to cost about SGD $60 or more per person! 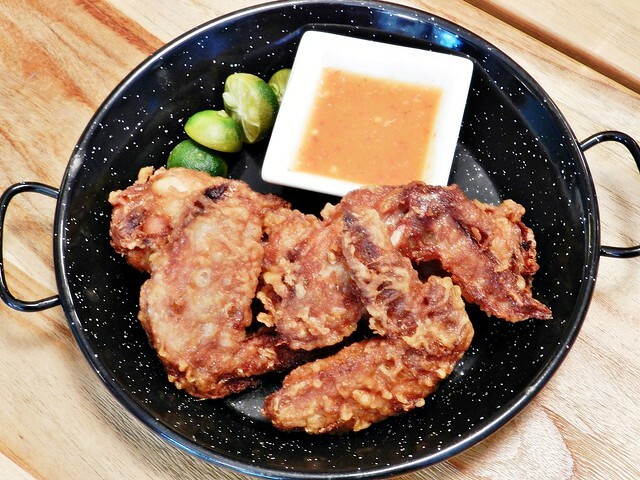 The Portico Chicken Wings With Chili Lime Dip (SGD $8 / $15 / $27) has a crisp, flavourful batter that crunches nicely to reveal tender, juicy, piping hot chicken meat. 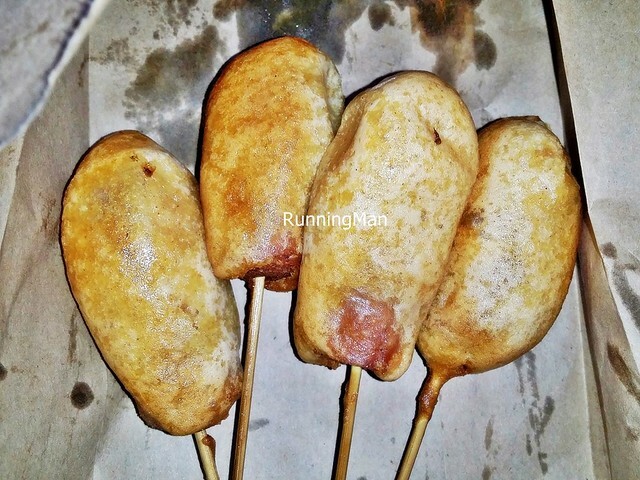 There is a sense of nostalgia eating this, as the taste of the batter resembles those from a famous Singaporean fried chicken brand, while the fiery chili with a sharp zing resembles the potent chili you get at the best barbecue chicken wings stalls! 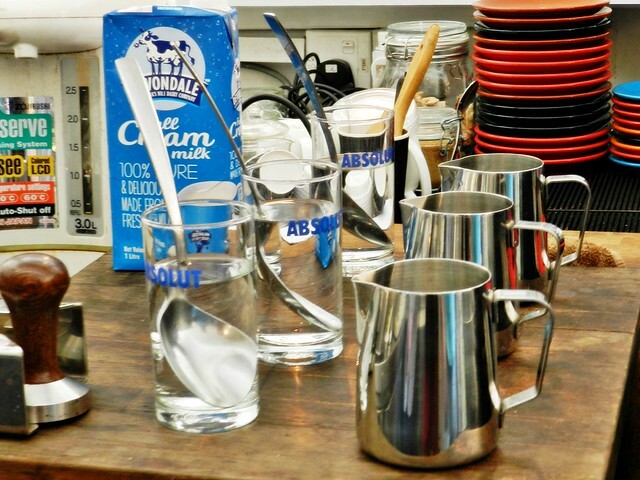 Tried our hand at making latte and latte art, after several rounds of demonstration by staff. I must say they're really patient, as it took us a while to get the steps, and even then, I had to be guided on my first try. 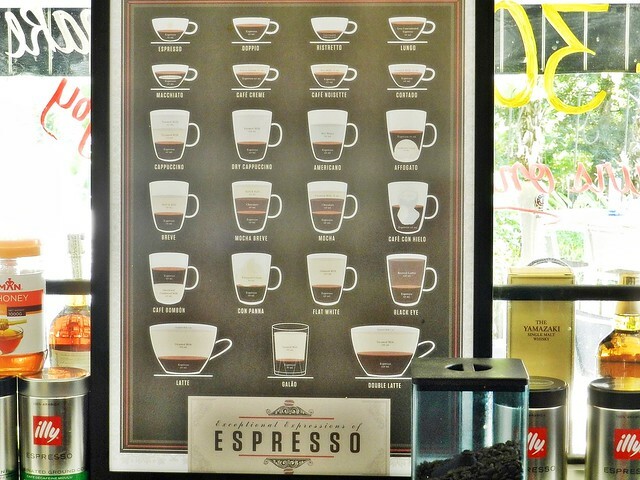 Making coffee is easy... but frothing the milk and making coffee art isn't. Sadly didn't do well in both my attempts to get a latte! 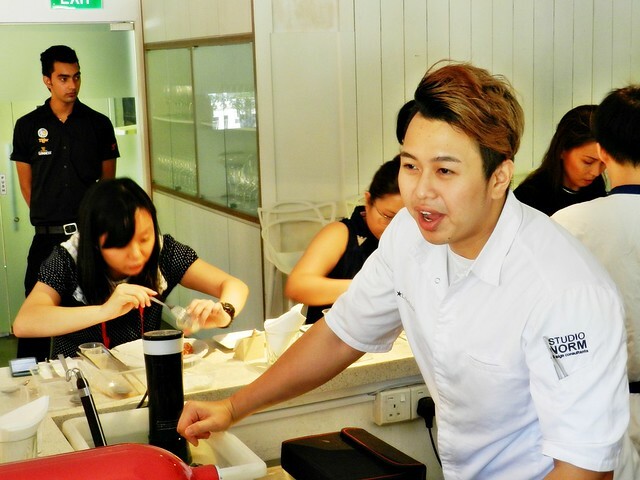 Portico Head Chef Nixon Low demonstrated how to plate his signature house salad. Felt like I was back in art class again, trying to make the plate pretty! Think I did pretty alright with this, though my plating speed is much slower than the professional chefs! 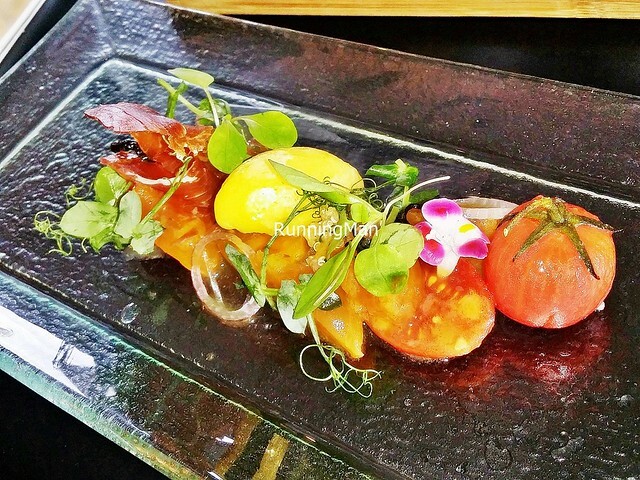 The Salad Of Vine Ripened Tomatoes, Jamon Serrano Slices, Organic Quinoa, Honey Melon Dressing (SGD $17) is a house signature salad, and the combination of tastes and texture is just delightful. 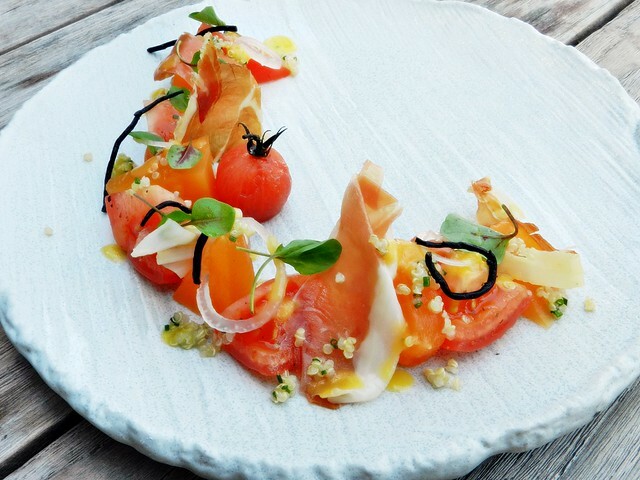 You have the bright juicy freshness and tart sourness of the marinated tomatoes, the sweet juicy rock melon, the chewy quinoa, and the salty, savoury taste of the jamon serrano, and the crunch of the shallots, seaweed, and jamon serrano crisps! Highly recommended! We also had a special guest speaker, Pollen Nation Co-Founder Carl Baptista who shared about Pollen Nation efforts to protect, produce, and cultivate local stingless bees and their honey. Yes, stingless bees. And depending on the region of the hive, these stingless bees produce some very tasty, and very different honey! 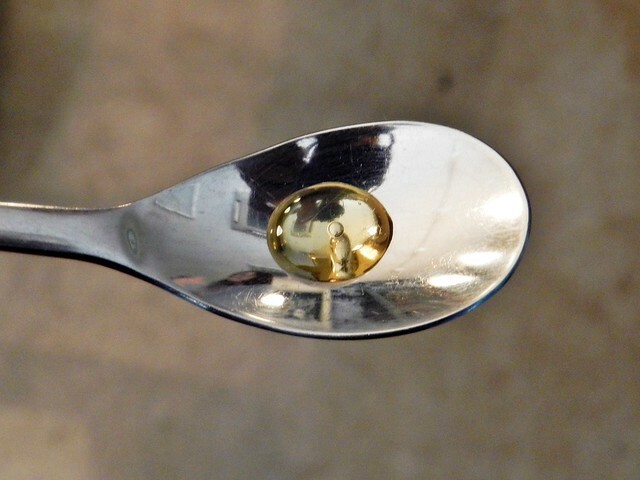 Fortunate to get a taste of some of this Singaporean honey produced by local stingless bees! Pollen Nation has a variety of samples which we tried, all of them completely natural, without any additives or artificial ingredients! 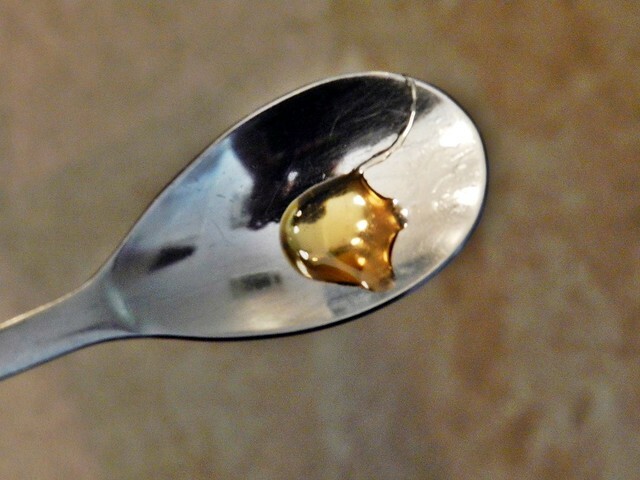 I particularly liked the honey from Sentosa Cove! Overall, Portico is an excellent restaurant, despite its premium prices, for their outstanding, creative food and friendly service. 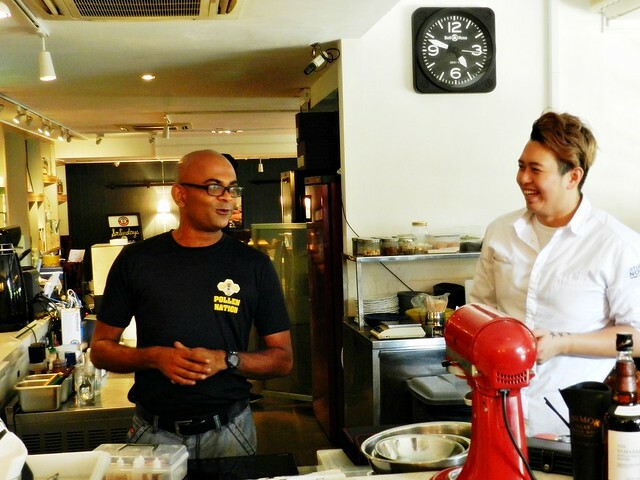 And because Portico is committed to using fresh, locally sourced ingredients from Singapore where possible, dining at Portico is akin to contributing to all the hardworking farmers, fishermen, and growers in Singapore! 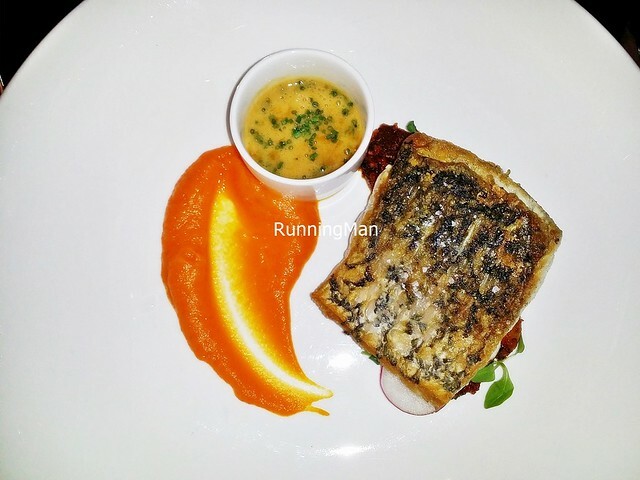 Update Sep-2015: Returned to Portico, and I must say their modern cuisine is just as excellent as ever. Ambience remains comfortable and casual, service staff are still as efficient and attentive, and the food is well worth every dollar spent. Thumbs up for their consistency in maintaining the high standards at Portico! 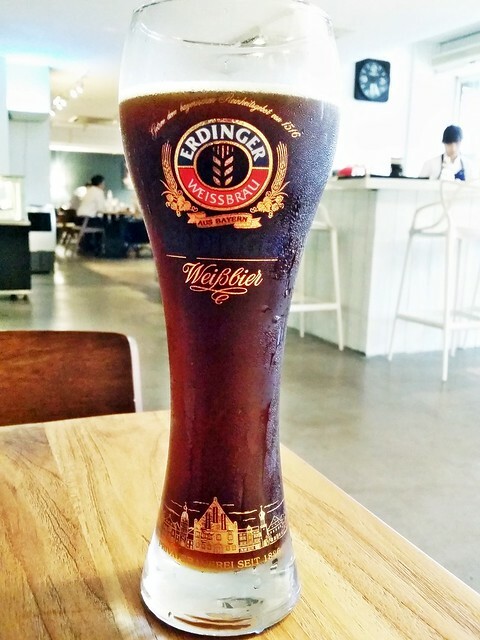 The Beer Erdinger Dunkel (SGD $18) is offered in a bottle, which staff then proceed to pour into a 1 pint glass. 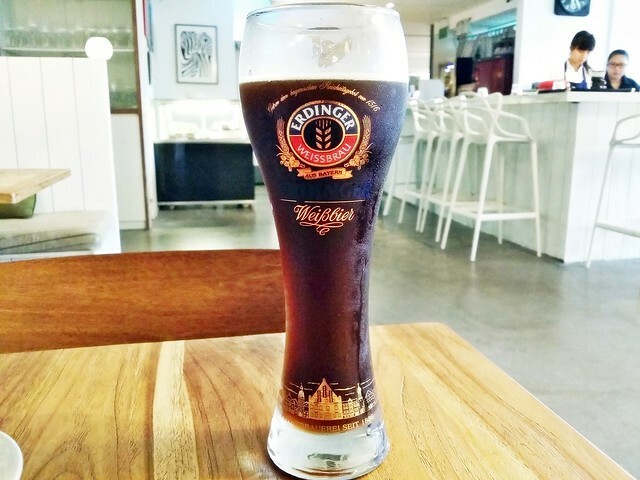 Quantity of the bottle is just slightly under a pint. 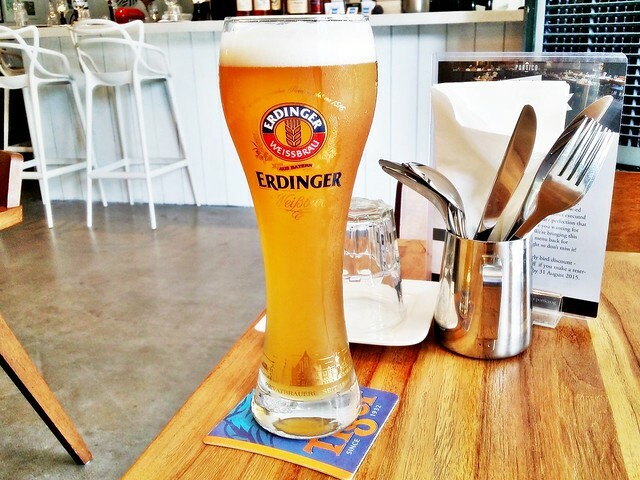 The Beer Erdinger Weissbier (SGD $18) is also available on tap here. Great for hot, sunny days! 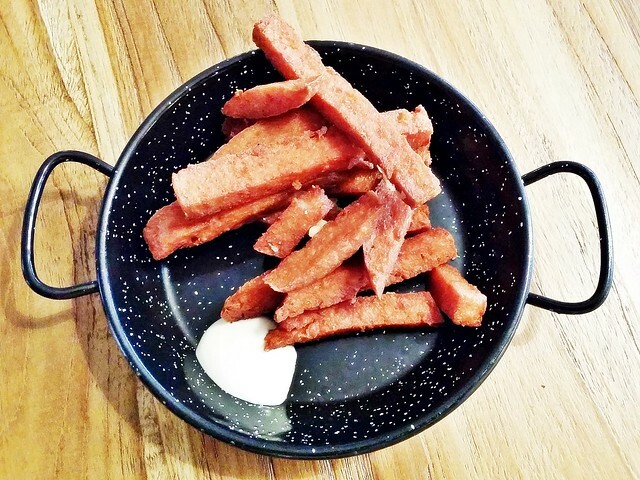 Loved how well executed the Luncheon Meat Fries, Yuzu Mayo (SGD $8) is. 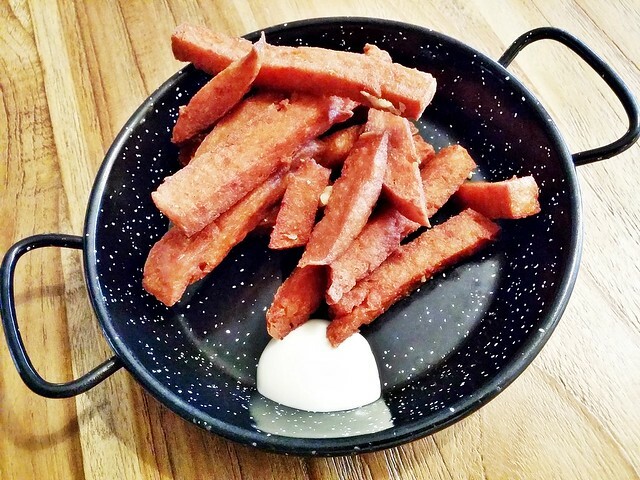 Presented in a small, decorative pan, the luncheon meat fries have a crisp, slighly crunchy exterior, yet still remain soft within, with a nice savoury taste that is not too salty. But I find myself wishing for more than just a small dollop of the tangy, citrus yuzu mayonnaise. Good for sharing between 2 people at most. 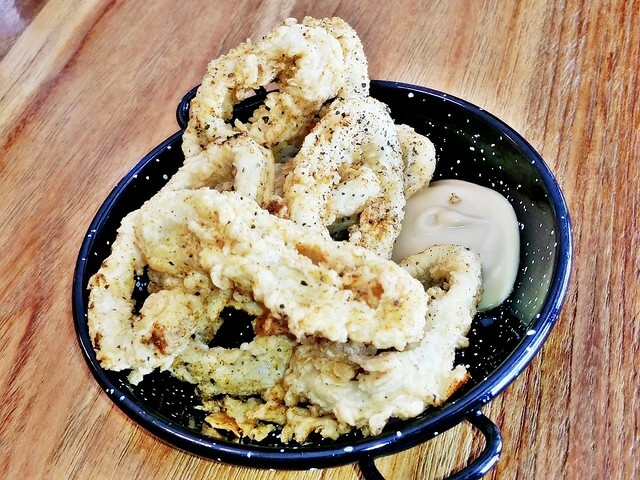 The Salt & Pepper Squid, Roasted Garlic Aioli (SGD $8) is decent. 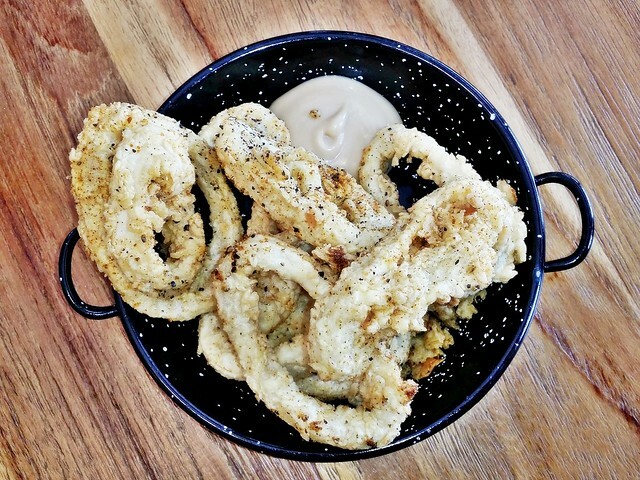 While the batter is crisp, savoury, and crunchy, the squid itself lacks that signature bouncy, chewy texture, though it's fresh. 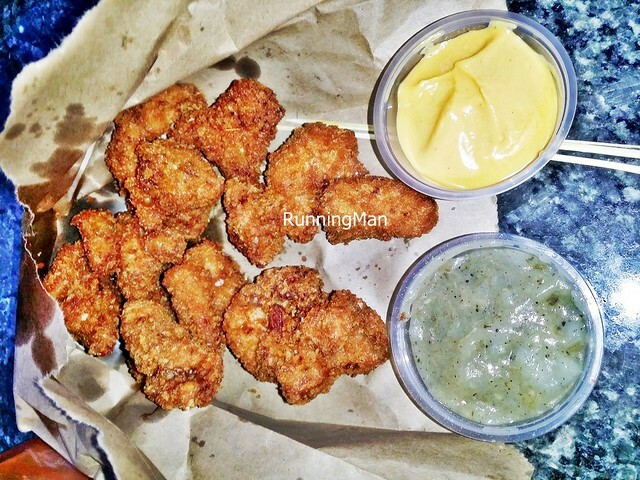 The roasted garlic aioli is also rather mild in flavour. Not the best I've had, and because the rest of the dishes far outpace this in quality, skip this. 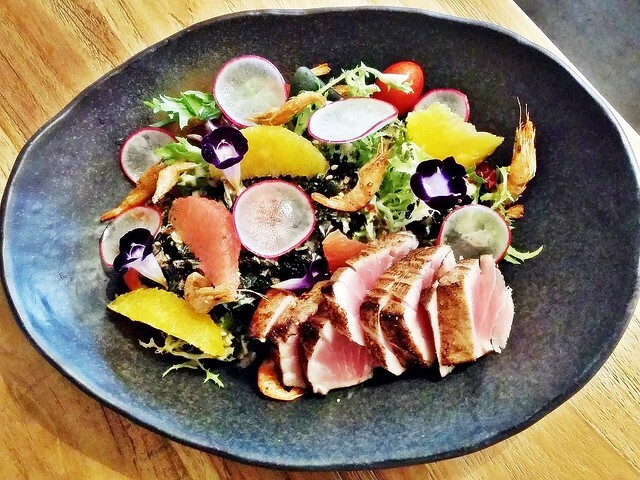 Was rather hesistant in ordering the Seared Ahi Tuna, Sesame Dressed Seaweed, Mesclun Lettuce, Red Radish, Crispy Shrimp (SGD $19), because I wasn't sure if the salad would be appealing. Am glad I tried it, because this is among the better salads I've ever eaten in Singapore, where the visual presentation, complex tastes, and variety of textures combine beautifully! You get the crunch and beautiful green colours of the chard and endive vegetable leaves, the bright, juicy taste of the cherry tomatoes, the crunch and decorative effect of the red radish, the juicy, fruity taste of the orange and grapefruit slices, the dash of colour from the edible flowers, and the savoury salty taste of the seaweed flakes. 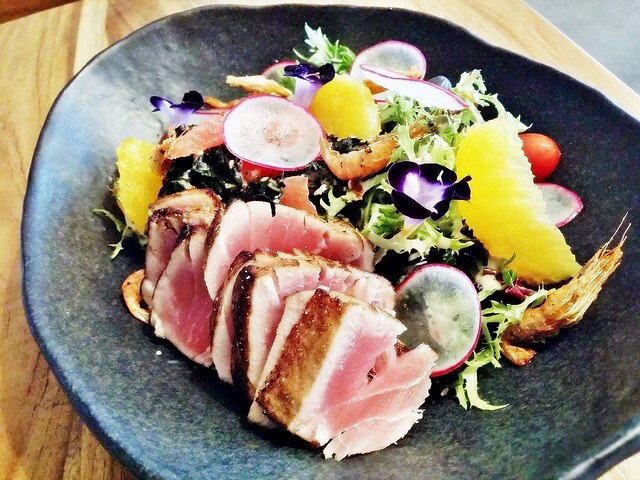 The crunchy, crispy shell-on baby shrimp lends a savoury crustacean flavour, while the tender slices of ahi tuna fish is seared nicely, with a medium pink center. The savoury wafu sesame sauce is also a winner for me here. Overall, I would highly recommend this dish! I felt the Portico's Braised Beef Cheek In Mulled Wine, Pommery Mustard Mash Potatoes, Fresh Yuzu Compressed Sweet Pear (SGD $32) was excellent! 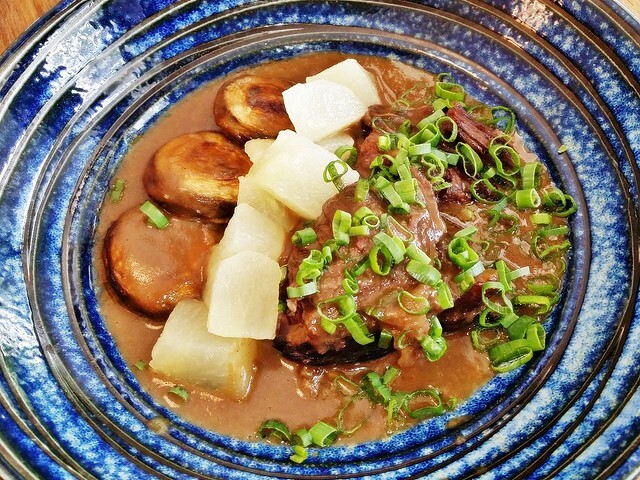 The beef cheek is moist, savoury, and fork tender, yielding easily when cut. The yuzu compressed sweet pear chunks are a pleasant contrast of sweet, sour, and citrus, floral and fruity in aroma and taste. 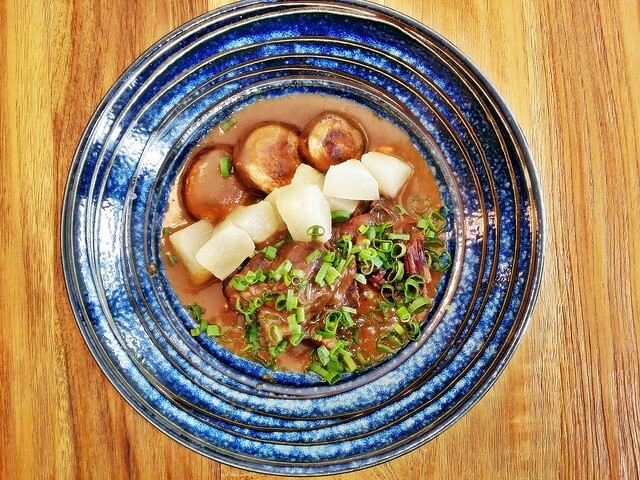 The pommery mustard mashed potates are smooth and creamy, not too heavy in texture, pairing well with the savoury brown meat & wine gravy, the tender shiitake mushrooms, and the beef cheeks. Excellent dish, pure comfort food. Well worth the price, highly recommended! 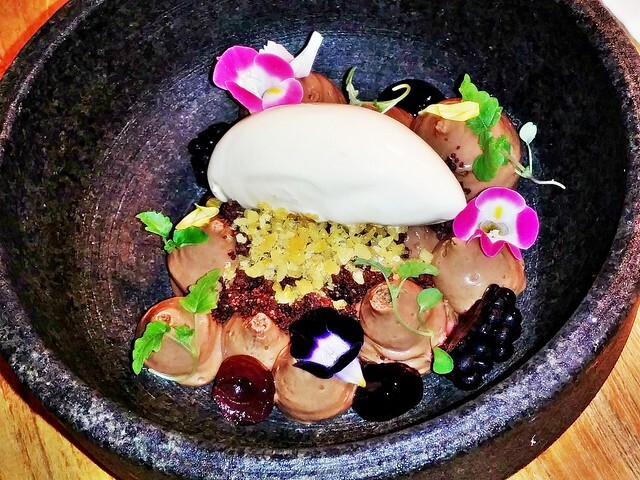 The signature Deconstructed Blackforest (SGD $14) dessert is very good! 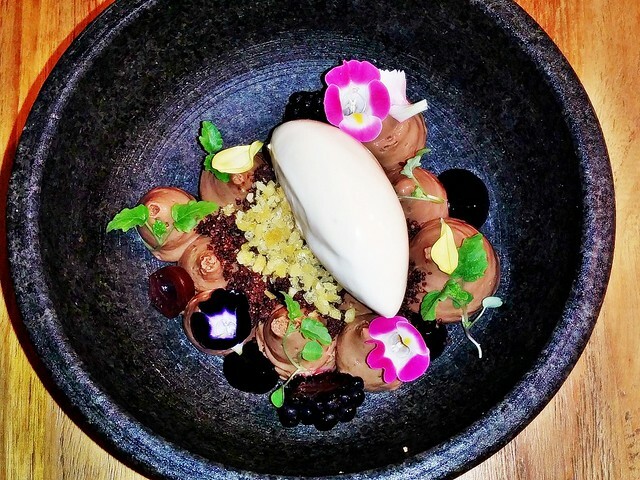 A rich, luxurious dark chocolate mousse is studded at the bottom of a chilled bowl, decorated with cherry / berry coulis, blackberries, edible hazelnut soil, popping rock candy, edible flowers, and caramel ice cream. Eating through this is an experience, each mouthful is different as you combine the various flavours within the bowl. 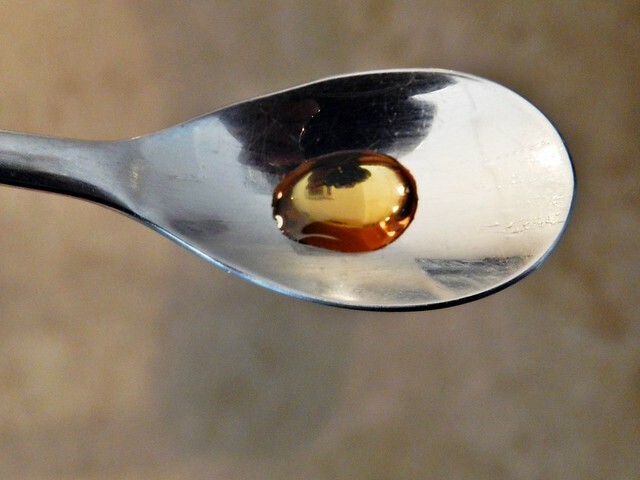 There is a playful, child-like wonder with this, and it helps that it tastes so good! Highly recommended! 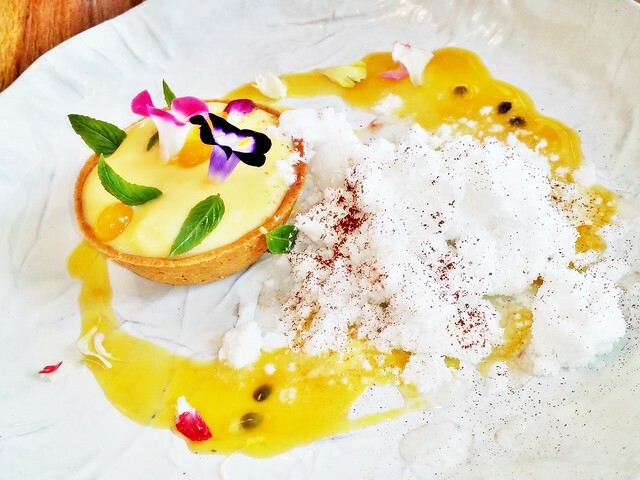 The Passionfruit Tart (SGD $12) is a pretty, bright and cheery dessert plate of yellow and white colours. 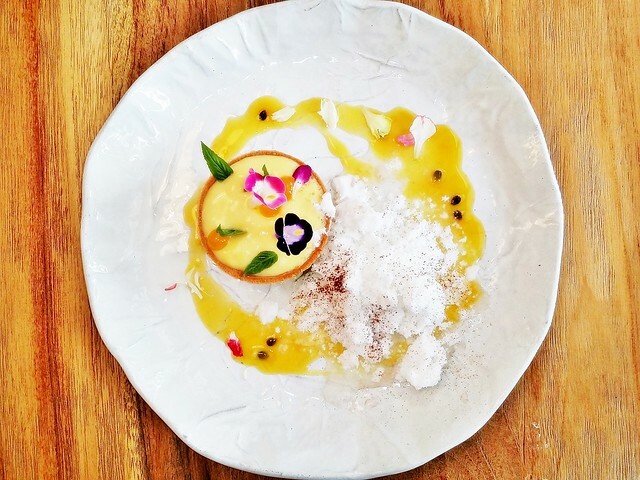 A not overly sweet passionfruit mousse sits within a crumbly, buttery pastry shell, topped with edible flowers and sweet passionfruit pearls. 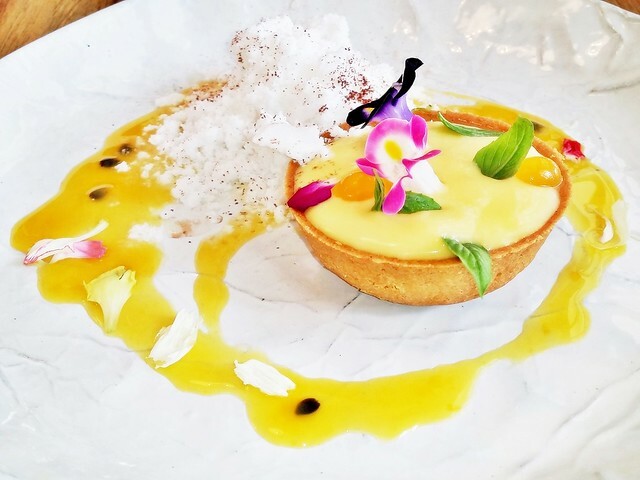 Surrounded with a sharp passionfruit glaze / sauce, an earthy floral coconut sorbet soil, and Thai basil leaves which lend a fresh scent with each bite. A very good dessert, not too sweet, not too heavy, nicely controlled in taste and texture. Worth ordering! 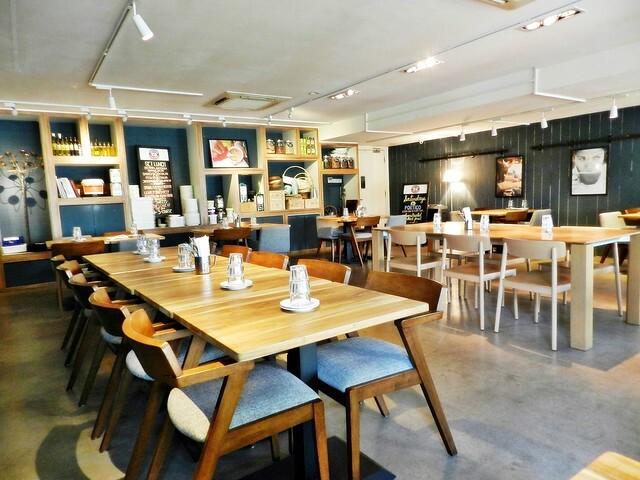 Update Feb-2016: Visited the latest Portico outlet at Dempsey Hill for Valentine's Day 2016! 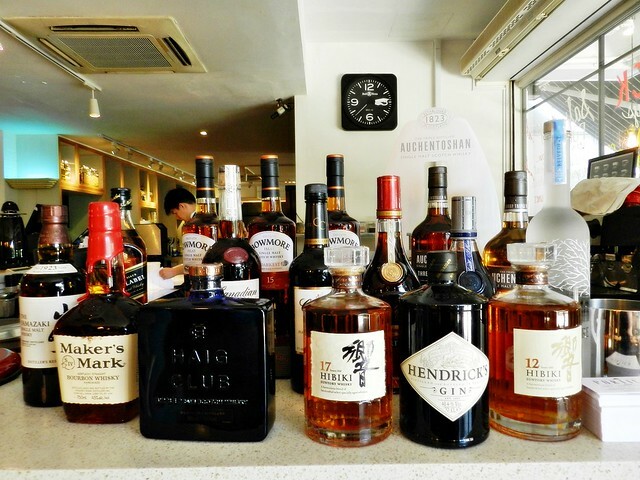 The ambience and food offered on the menu differs slightly from the original Portico outlet at Alexandra, but the service remains as efficient, professional, and friendly as ever! The Endless Love Cocktail (SGD $28 for 2) is inspired by the 1981 love song by singer Lionel Richie. 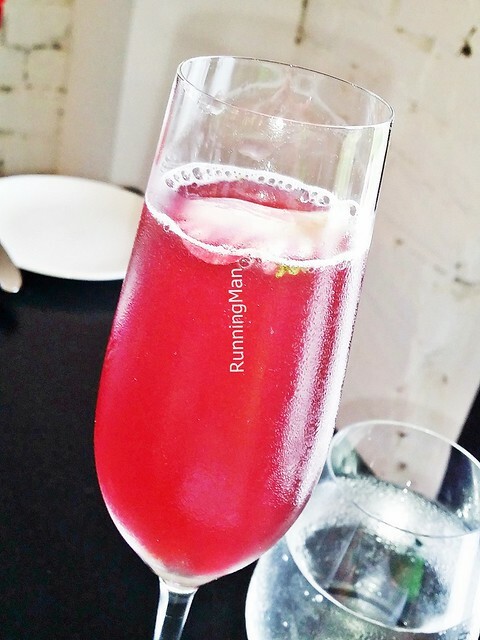 This refreshingly fruity sweet beverage features a floral mix of vodka, lychee, pomegranate, mint, and rose petals, giving it a pleasant flavour. Perfect for toasting to your endless love for each other on Valentine's Day 2016! Complimentary bread is served to all guests here, as part of the meal. 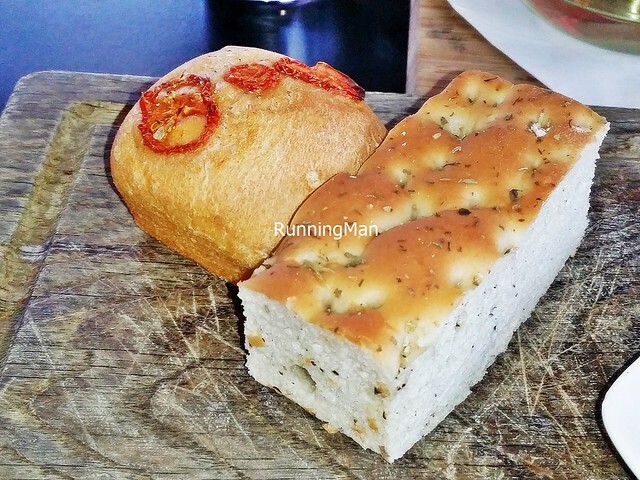 Freshly baked in-house, the Sun-Dried Tomato Bread has a lovely floral sweet flavour of tomatoes with each bite of this rather firm bread, while the Focaccia Bread has a nice softness, with a floral herb aroma that is just incredibly attractive. 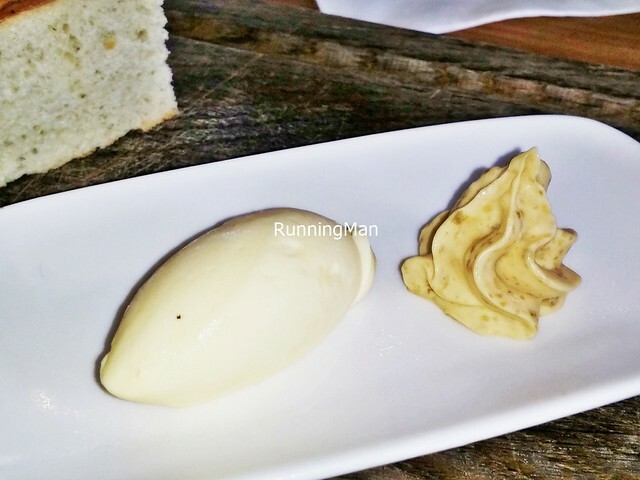 Served with a side of Plain Butter, which is rich and creamy, as well as a unique Seaweed Butter, which has a earthy, herbal taste. Good! 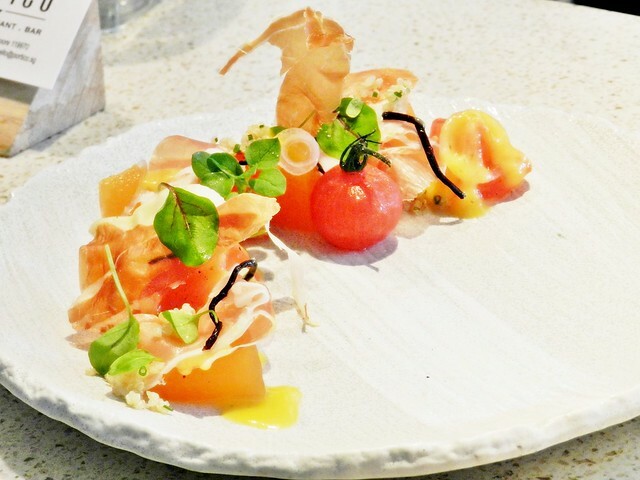 Absolutely loved the freshness of the Collection Of Heirloom Tomatoes (SGD $24), which features a variety of juicy sweet heirloom tomatoes, savoury salty crispy jamon serrano ham slices, grainy organic quinoa, marinated Hijiki seaweed, sweet rock melon slices, and a frozen sorbet of honey melon. Excellent combination of textures, crispy, tender, juicy, creamy; with a variety of tastes, sweet, sour, earthy, salty, savoury, zesty. Loved every bite of this. Highly recommended! 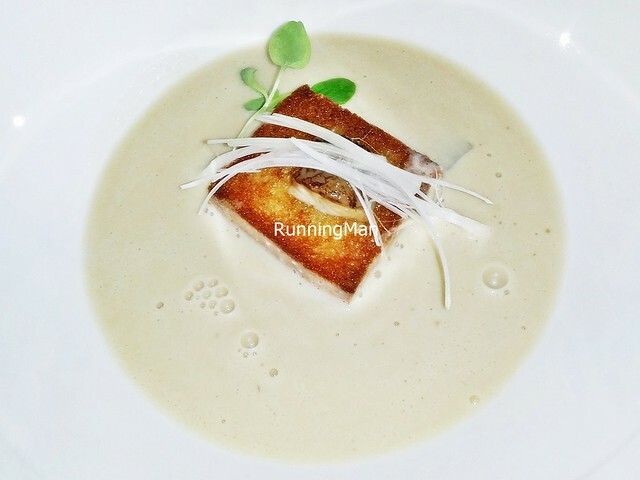 The name of the Caramelised Leek And Potato Soup (SGD $22) doesn't really do this playful and surprising dish justice. The soup / broth is rich, savoury, and creamy, yet with a floral lightness, and you can still faintly taste the caramelised leeks and chunky starchy potatoes that went into creating this. The brown butter brioche toast sitting in the middle is crisp and savoury, soaking up the soup / broth excellently, and the contrast of textures is delightful. But most surprisingly is the lightly charred, fresh smoked eel, with a sharp savoury salty taste, yet clean and fresh in texture. 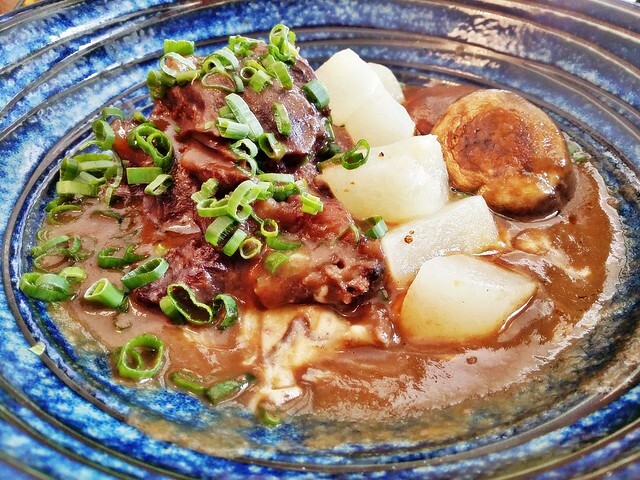 Memorable dish! 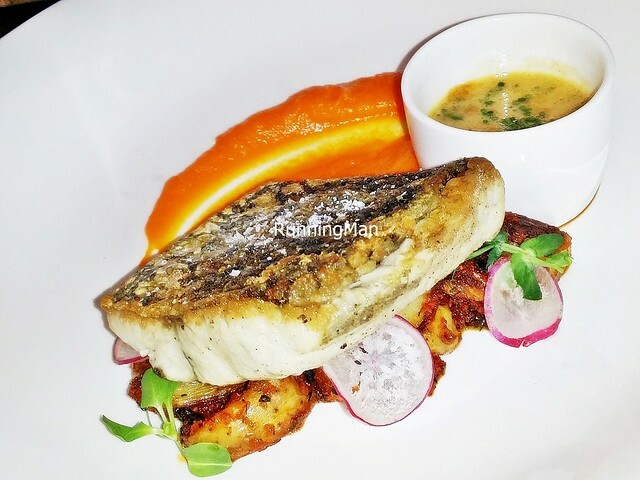 Sustainable fishing is showcased in the Pan-Seared Pulau Ubin Barramundi (SGD $38), which features a locally farmed, tender fillet of fresh barramundi fish, done with a crispy, salted skin, yet with moist flesh that flakes off easily. 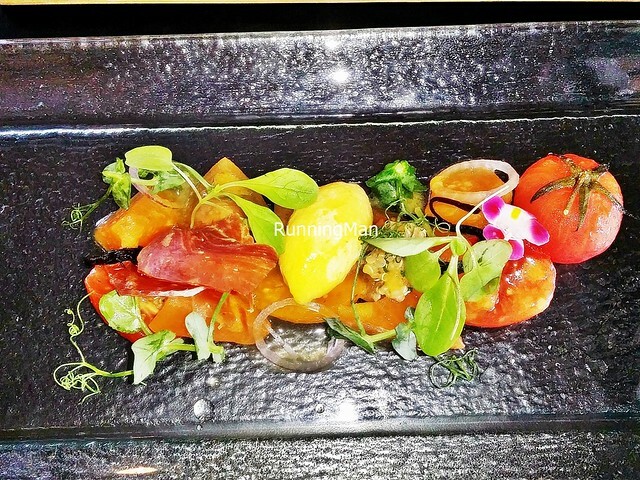 Served over a bed of spiced and roasted ratte potato cubes, which are savoury and salty, along with semi-dried tomato, a sharp and floral carrot ginger puree, and a trout roe beurre blanc sauce. Good! 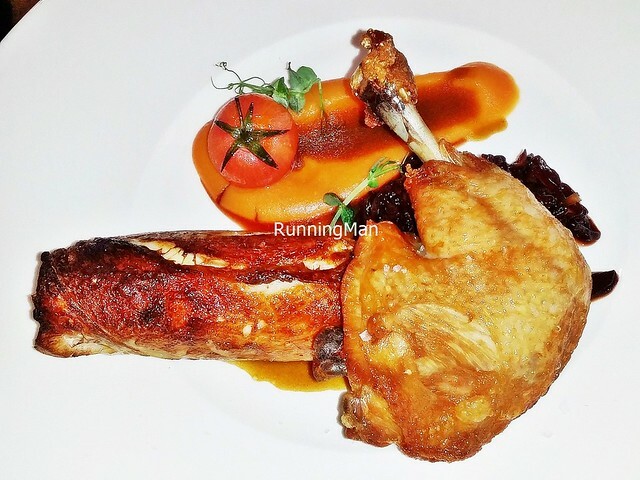 Loved the Locally Farmed Chicken Done 2 Ways (SGD $38), which showcases sustainable farming. A bed of sweet maple scented sweet potato puree and bitter sweet, tender braised purple cabbage is served 2 types of chicken. A chicken confit, moist and tender within, with meat that comes easily off the bone, and has an excellent savoury salty, crispy skin that crunches softly. A chicken roulade, filled with foie gras, and incredibly soft and tender, possibly among the most tender and bouncy textures I've had in a chicken! 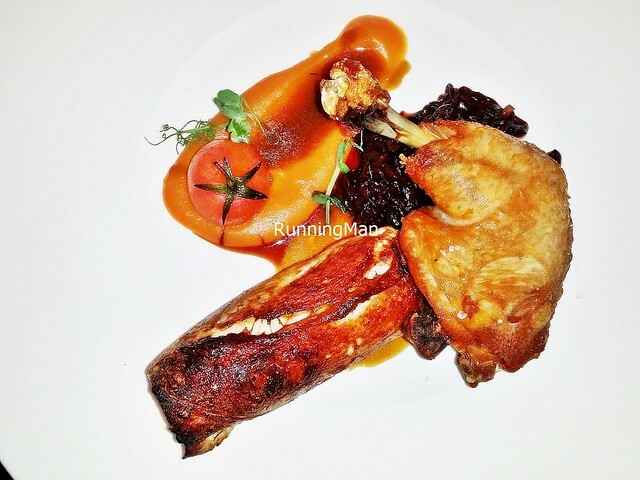 The spiced chicken jus lends flavour, though it isn't really necessary with the tasty items on the plate! Good!